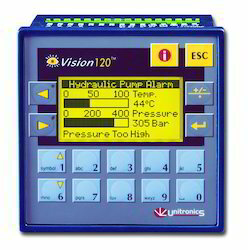 Logic Controllers are used in process plants for plant automation purpose. All types of panels like control room panels, mimic panels, annunciation panels and DCS consoles are manufactured by us. We design, select and supply complete instrumentation required for such Instrumentation panels with instruments like indicators, controllers, recorders, annunciators and many process instruments. Looking for Logic Controllers ?